This material originally appeared in NYC zerowaste’s January 2016 newsletter. Freshkills Park proudly supports DSNY and NYC zerowaste in helping New York City send zero waste to landfills by 2030. At around 95% air, Expanded Polystyrene foam (EPS) is incredibly buoyant, which is why it was used by the U.S. Coast Guard to build a six-person life raft in 1942. 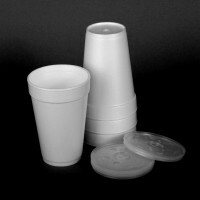 EPS, commonly known as Styrofoam, has since floated into everyday life, with people using billions of foam cups, bowls, plates, takeout containers, trays, and packing peanuts every year. 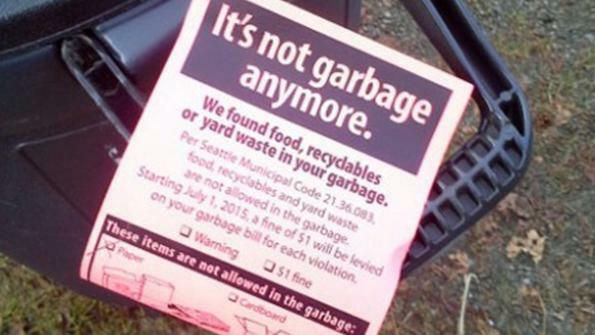 Seattle Public Utilities (SPU) has recently added a $1 fine for having more than 10% of a household’s trash composed of food waste. 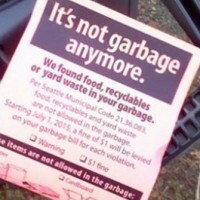 Passed on January 1, 2015, this comes as the next step in Seattle’s attempt to remove compostable materials from ending up in landfills, following the city’s previous 2005 ban on recyclable materials under a similar $1 fine program and the encouragement of residents to compost via SPU-provided compost bins. 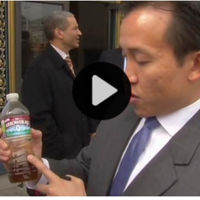 The City of San Francisco recently announced that it would ban the sale of bottled water in containers less than 21 oz on city property. San Francisco will be the first major city in the US to enact such a ban, though Concord, Massachusetts and Grand Canyon National Park have already replaced bottled water with water bottle filling stations. If you’ve been to Sneak Peak, perhaps you’ve noticed your own reflection in the side of a Department of Sanitation garbage truck. This 20 cubic-yard garbage truck faced with hand-tempered mirror is The Social Mirror by artist Mierle Laderman Ukeles. The Social Mirror debuted in the grand finale of the first NYC Art Parade in 1983 and was most recently exhibited at the 2007 Armory Show. A new study released this week by the Natural Resources Defense Council found that 40 percent of food produced in the United States ends up in the trash, making food waste the single largest portion of trash in our landfills. West Coast cities such as San Francisco, Portland and Seattle have recently become leaders in the effort to reduce the size of landfills by enacting a myriad of cutting-edge recycling programs. 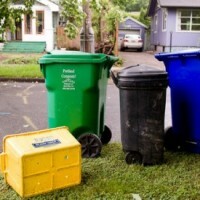 The New York Times reports that in Portland, a new biweekly garbage pickup schedule will cut back on the waste sent to landfills by 44 percent. A closed landfill in Canton, Massachusetts plans to implement solar power infrastructure that will generate $16.3 million for the city. The landfill sat unused for over 20 years when city officials decided to build a solar array on the site that will include 19,844 solar panels, citing the relatively low investment and significant return. ‘Renewable energy can be beautiful.’ That is the tagline for the 2012 Land Art Generator Initiative (LAGI) international design competition. The open LAGI competition calls for ideas to “design a site-specific public artwork that also functions as clean energy infrastructure for New York City.” This year the contest partners with the New York City Department of Parks & Recreation and the site is within the 2,200 acre Freshkills Park on Staten Island. 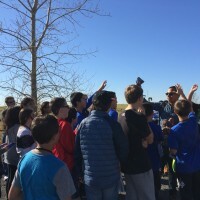 A recent look at a centuries-old landfill – the eighth hill of Rome – presents new insight into the variety of uses and cultural identities reclaimed landfills today might strive toward. On Places, architect Michael Ezban explores the history and current status of Monte Testaccio as an integral part of the Roman urban fabric. Continuing with the increasingly popular efforts to become a more sustainable metropolis, Mexico City has initiated a new barter-style market in which residents can trade recyclable materials for locally grown foodstuffs. The opening of the new government sponsored (website in Spanish) market follows similar events lauded by environmentalists such as the closure of the Bordo Peniente Landfill, and green vertical gardens which we’ve previously blogged about. This Monday Gelf Magazine, an NYC-based independent webzine “looking over the overlooked”, will host Geeky Garbage, a discussion about one of the most overlooked aspect of our daily lives — waste. On hand will be former Freshkills Park Talks lecturers Robin Nagle (DSNY anthropologist-in-residence) and Howard Warren (expert on the Barren Island/Dead Horse Bay), with Max Liboiron, a trash artist and pollution activist. Focus Forward, a new series of short films about forward-thinking innovators, brings us The Landfill, directed by Jessica Edwards and Gary Hustwit. 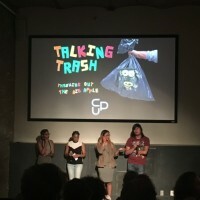 The film is a brief profile of the small but highly efficient Delaware County Landfill in Upstate New York, which is using a system of composting, recycling, and landfill gas (LFG) capture not unlike the one used at Fresh Kills two decades ago. Progress continues at Staten Island’s Brookfield Avenue Landfill, a 132-acre site in the Great Kills neighborhood, just east of the Freshkills Park site. The second phase of construction is under way and should be complete by 2013. As with other landfill remediation projects in New York City, the city Department of Environmental Protection (DEP) will oversee completion of the cap, barrier walls and leachate collection system. 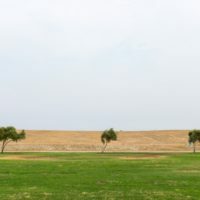 A clear and compelling promotional video by the Dan Region of Towns in Tel-Aviv for their transformation of the Hiriya Landfill into a 2000-acre park focused on environmental sustainability. Sound like a familiar type of project? The many folks involved in planning, building and educating about the site and the lessons it can teach have been great supporters of the Freshkills Park project. 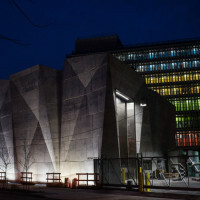 Tuesday night’s talk at the Arsenal by Marty Bellew was a terrific history of landfills in New York City, culminating with the story of Fresh Kills. 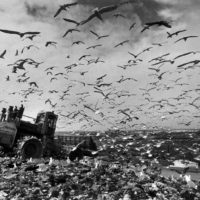 The context of other landfills really brought home the outsize scope of operations at Fresh Kills–no other site in the city even came close to the same acreage and garbage volume.